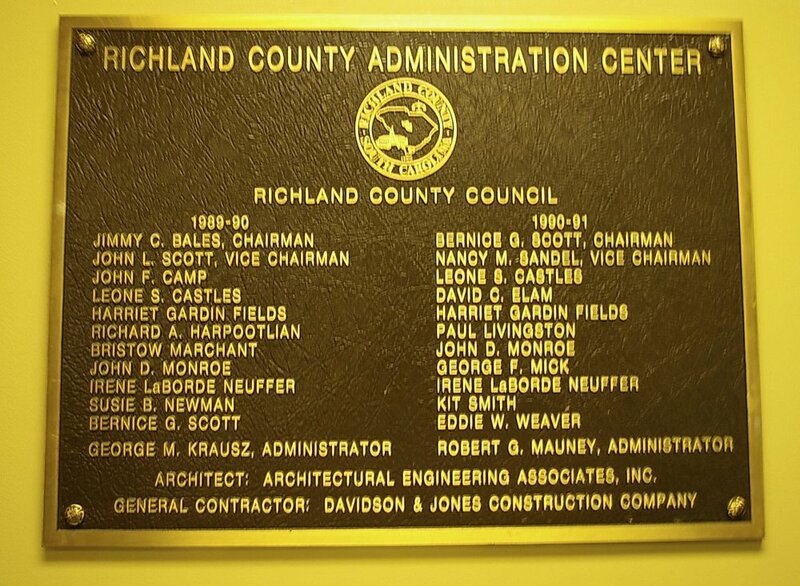 Richland County is named for the rich soil in the region. 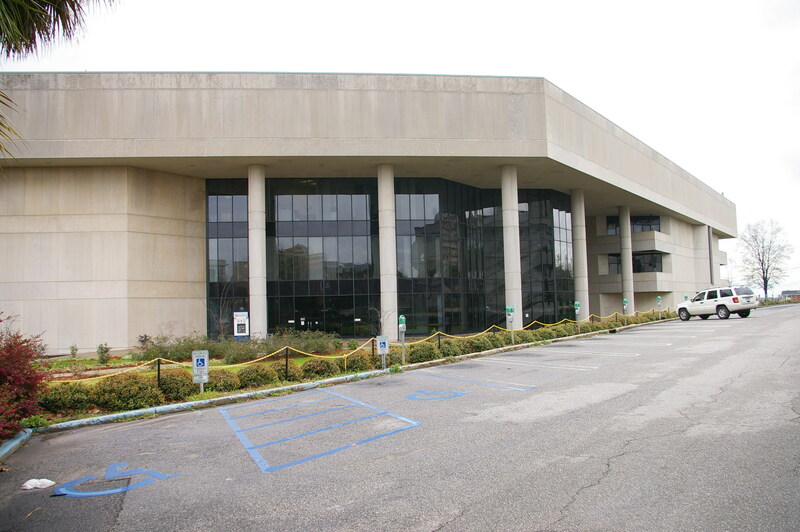 Description: The building faces north and is a four story gray colored stone and concrete structure. 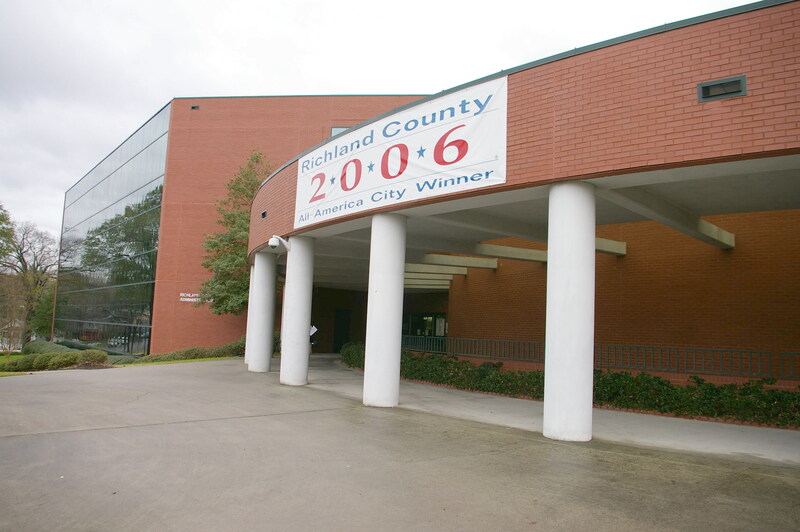 The building entrance at the northeast corner has a large overhang supported by five columns. 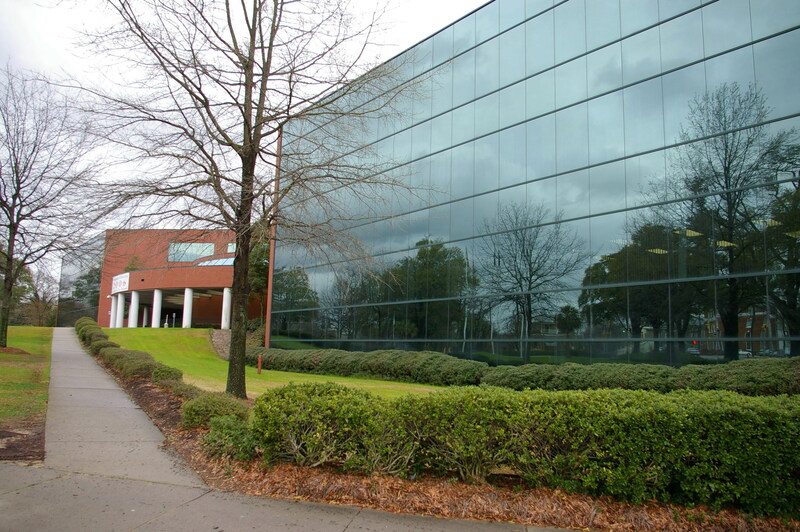 The recessed entrance is faced with dark glass. On the west side of the entrance, small protruding sections are on the second and third stories. 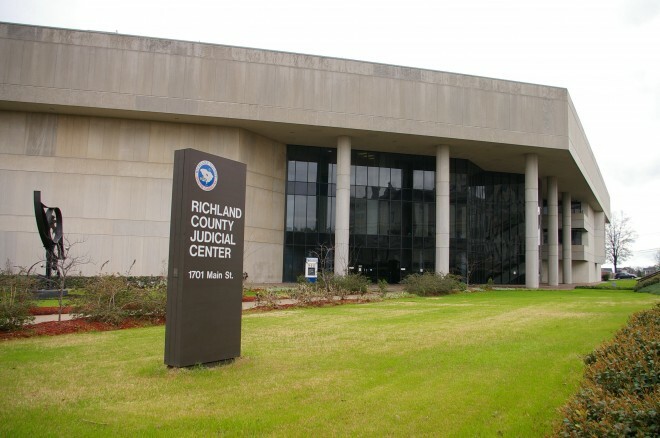 Note: A courthouse was built in 1872 and an addition was designed in 1906 by Shand & Lafey. 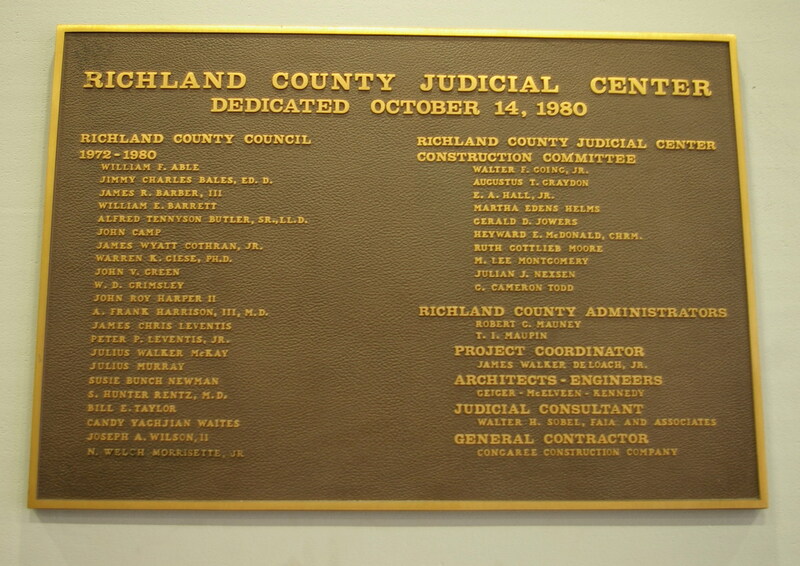 In 1935, James B Urquhart designed the previous courthouse. Architect: Architectural Engineering Associates Inc. 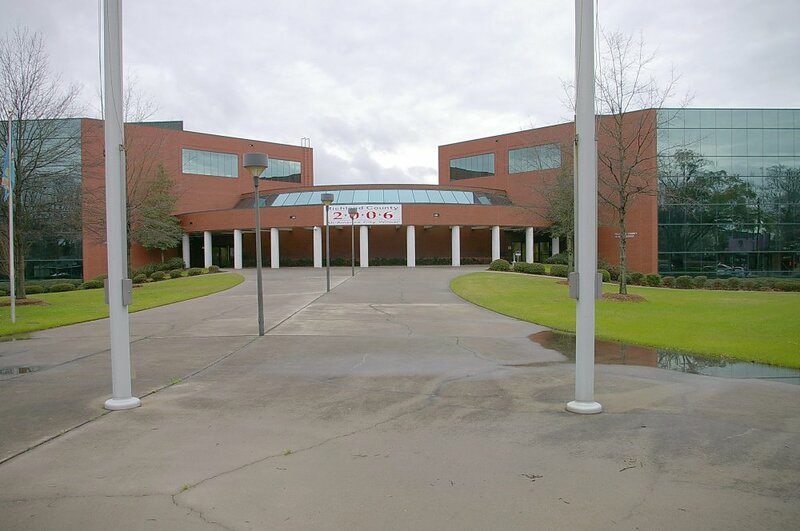 Description: The building faces north and is a three story red colored brick, concrete and glass structure. The building entrance is at the northeast corner which has a large semi circular overhang supported by eleven pillars. The center section is one story with glass skylight. The east and west wings are red colored brick with dark glass walls along the north and east sides. 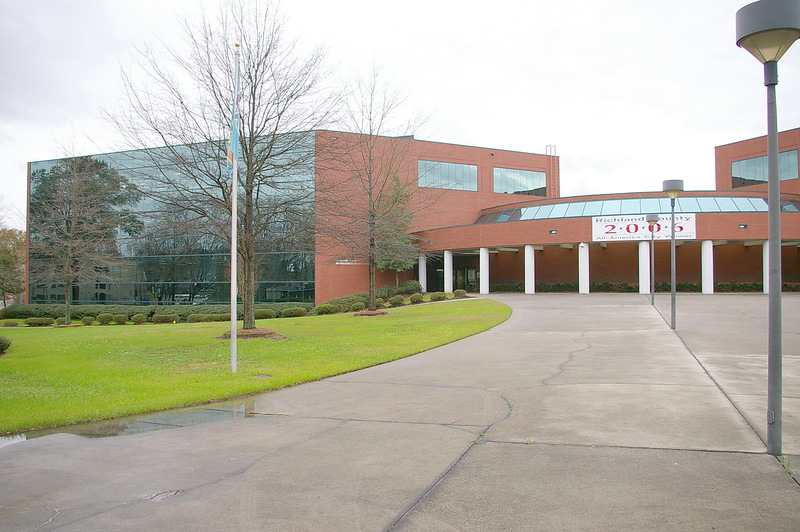 In the center is a large landscaped courtyard. 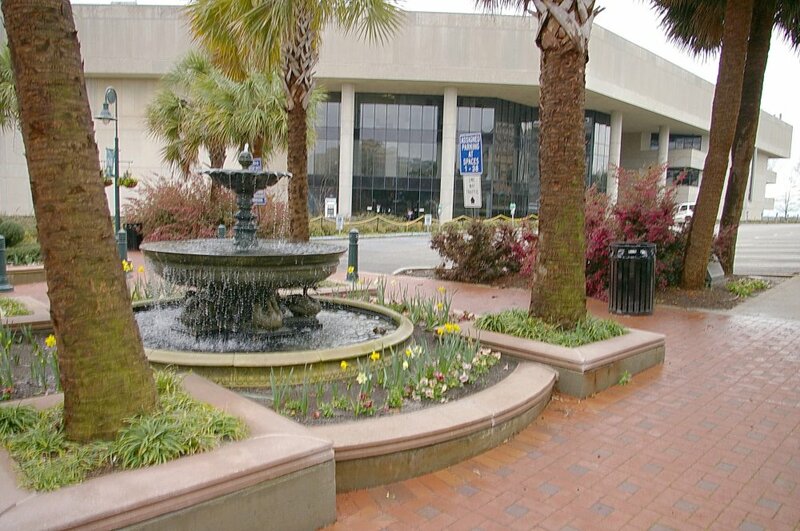 See: Located in the county are the South Carolina Appeal Court and the South Carolina Supreme Court.